Wild Berry Skittles are a crazy delicious version of the originals. These fruity and imaginative flavors pack a serious punch of sweetness into every chewy candy. In this bulk order of Wild Berry Skittles, you’ll have enough to use as garnishes in adult frozen drinks, fill candy dishes and jars around your house, give some away as gifts and party favors, and keep your pantry stocked for sweet tooth emergencies. They’re chewy, colorful, and fruity, they are tasty and delicious enough to enhance any summertime affair. 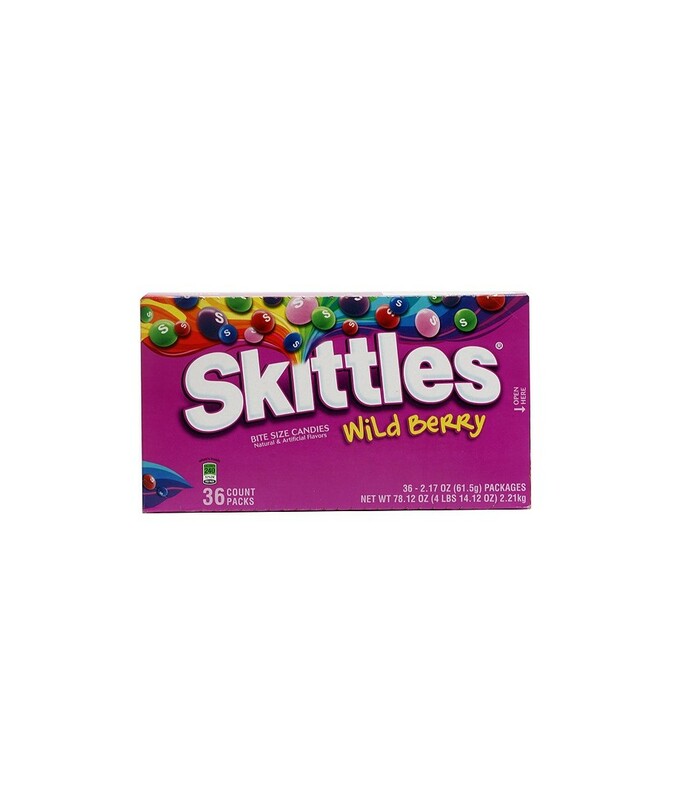 you can buy Wild Berry Skittles in bulk at a wholesale price at Volt Candy Online. magnificent candy with a very insightful taste. love this candy to the fullest.